Studio Lasifaasi presents glass art and design from Laura Aalto-Setälä, who works at the intersection of art, design, and science. Led candle light Kuura is handmade in Suomenlinna, Helsinki. Light is diffused by a specialty glass-ceramics frit that is attached to a normal glass bubble during blowing. This results in icy, frost-like rough surface (in Finnish, 'kuura') to the object. A piece of conceptual jewellery, diameter of the glass part 4cm. The pendant hides a secret: it is made of photochromic glass, and it reveals its message under sunlight. The message fades away when the glass piece is kept in darkness or in ordinary electric light. 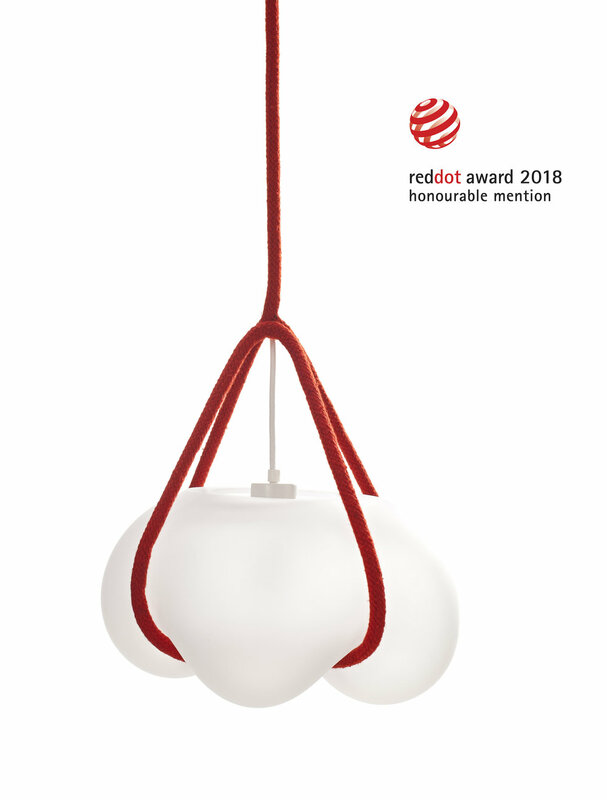 A prototype of a lamp, which is exhibited at the Habitare fair in September 2018. Pikkuveli plays with the contrast of very bright light bulb and the use of UV pass filtered glass, which does not let any visible light through. This causes the lamp to combine ultimate blackness with a very bright light. Veli and Pikkuveli lamps play with the contrast of very bright light bulb and the use of UV pass filtered glass, which does not let any visible light through. This causes the lamp to combine ultimate blackness with a very bright light. The pendant lamp Veli is looking downwards; the table lamp Pikkuveli is looking up. The small model (width 17cm) of Nosto comes without ropes, and is is held by the fabric cords. Created in a glass art residency in Bardidvarnuk, Hungary, the art series presents planets which have become uninhabitable except for one. The rough, stormy surface effect is made using self-made glass-ceramics powders. Frozen flowers are made in varying forms and colors. Length of each flower: 35cm. The Observers series consists of unique glass sculptures. In each piece of the Observers series there are growing spherical forms observing the world around them. Filigree piece with phosphorescent filigree canes that make the glass piece glow in the dark like northern lights. Height 25cm. Part of the glass collection of Nemzetközi Üveg Alkotótelep, Hungary.